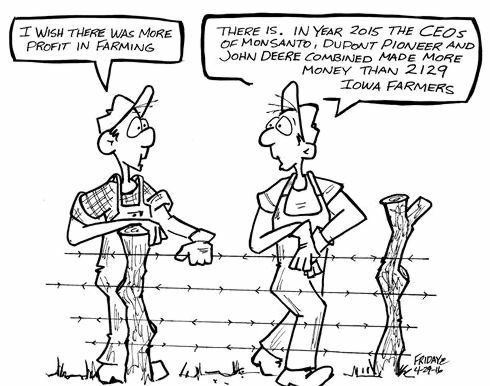 Rick Friday has been giving farmers a voice and a laugh every Friday for two decades through his cartoons in the Iowa publication Farm News. 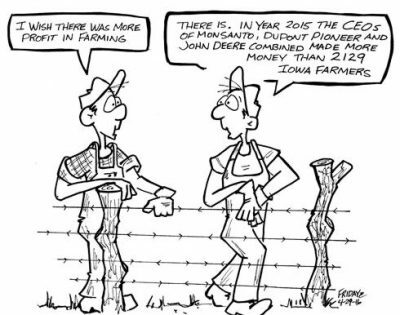 Now, in a case of blatant censorship in the service of Big Ag, the long-time Iowa farm cartoonist has been fired for a factual cartoon he created. Friday announced Sunday that his job was over after 21 years in a Facebook post that has since gone viral. 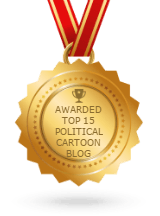 Friday received an email from his editor at Farm News cutting off their relationship a day after the cartoon was published.